Arabic-English Gospel to Reach Muslims! According to the Pew Forum on Religion & Public Life, the population of Muslims in the U.S. will more than double during the next 20 years*. 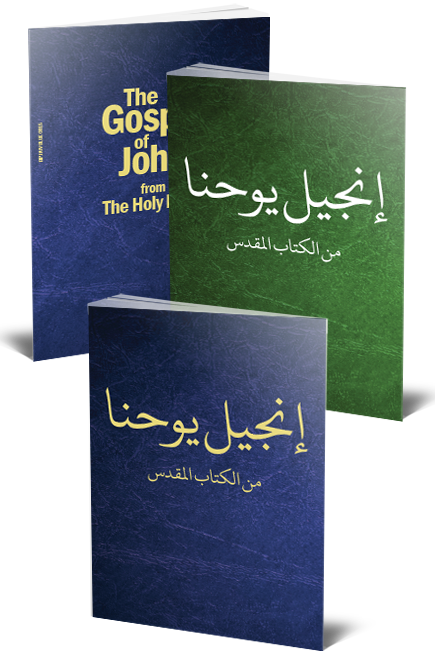 Right now, there is an opportunity to create 40,000 seeds of faith with an Arabic-English pocket-sized Gospels of John. Every Gospel printed will be shared by Christians in North America (and throughout the globe) in relationship with Muslims from all walks of life. A special League partner has pledged a matching gift of $25,000 to create an Arabic-English Gospel of John, and $15,000 has already been raised. Every dollar you give will be DOUBLED to make an even bigger kingdom impact! Pledge your support today. $100 (USD) 200 gospel presentations - with the matching gift - 400! $50 (USD) 100 gospel presentations - with the matching gift - 200! $25 (USD) 50 gospel presentations - with the matching gift - 100! Note: If you're a member of the League, sign in now so that information fields can be automatically filled in for you. Lost your password? Click here. Please enter your name and billing address below along with the method you'd like to use to complete your gift today. Items marked with an * are required. If you are signed in, fields will be pre-filled for your convenience. Only if you're a member. Important: After clicking the "Submit" button below, please wait for the system to process your gift. This could take several seconds. Do not click "Submit" a second time or you might post a duplicate submission. As soon as your gift is processed, you will see a confirmation page.